Nikita Menchov will hold a master class “The Scary Dream of the Actor”. A master class for all those who want to approach the Acting Mastery in a modern way. You will receive a set of techniques from Germany and the US, in order to play without a single knowledge of the script in the scene and do it cool. And as always there will be a sea of ​​emotions, drive and unrestrained fun! 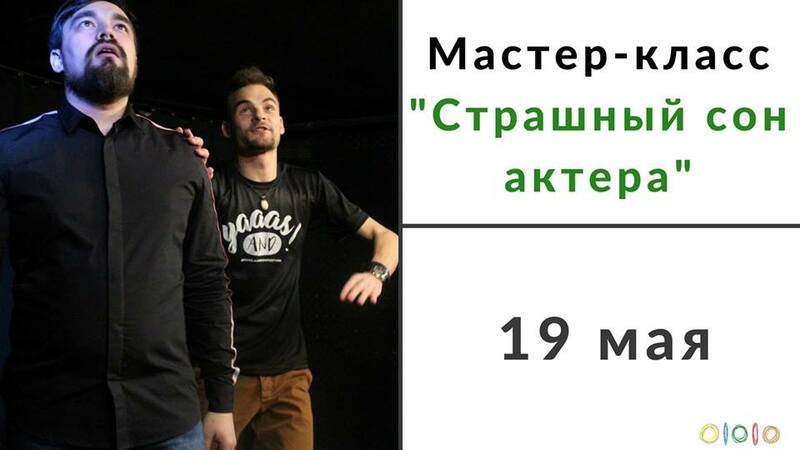 Nikita Menshov, the creator of the Big-Improv Studio in St. Petersburg, teaches in Bishkek. Nikita will talk about the most difficult, but perhaps most fascinating phenomenon – the Art of Scenic Improvisation. Nikita Menshov is using his many years of experience in the training of improvisation to shows the participants the basic skills of improvisation and how to reach a new level of efficiency and teamwork in group improvisations. Nikita Menchov – Founder of Big-Improv Studio, Ambasador Improvisation in Russia, which before Russia was trained in the USA, China, Japan, the Philippines, and Dubai. He started and conducted more than 8 courses in such countries as Russia, Kyrgyzstan and Vietnam. He is the only Russian member of the Canadian Institute of Improv-Actors iTi, as well as a participant in many international projects in the field of contemporary theater, film and television. Registration is required via Google Forms.